It nestles all polish bottle shapes for a sturdy grip no matter where you are. But seriously, how is there THAT MUCH nail polish in such a tiny little bottle? Well knock knock, babes. 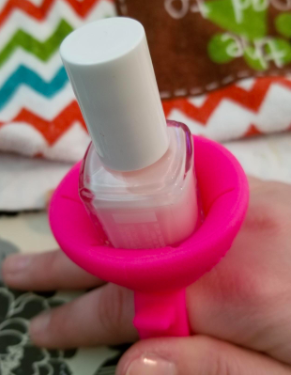 This Ring Pop–looking contraption may just be the key to unlocking some at-home manis without covering your place in plastic tarp like Dexter. She's called Tweexy and your relationship status just changed bc now you're taken. 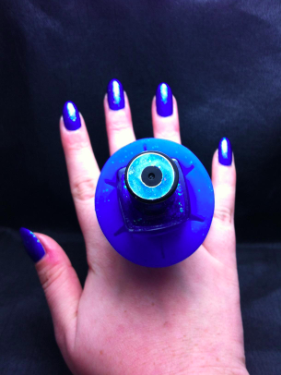 Even people who are pretty ~adept~ at painting their nails (like me!) will love this lil' gadget with enough room to fit a variety of nail polish brands' bottle sizes. 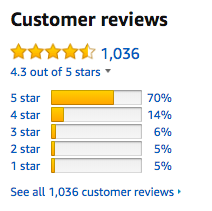 And lots of reviewers call out that it's great for doing your nails in car (BUT NOT WHILE DRIVING)!!! Safety comes before killer talons, y'all. So obviously, you need this in your well-manicured life. Get it from Amazon for $6.99+ (available in 11 coclors).